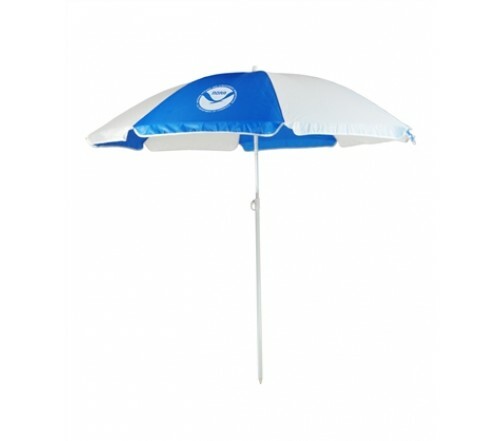 Personalized royal & white 72” arc economy beach umbrellas are royal and are largely sought by marketers who have “royal expectations” from their investments. This umbrella can steal glances with its cool and trendy color profile and people are inclined to get near it. It possesses features such as – 72” arc 170 T polyester royal and white canopy, 8 panel frame, easy-to-use carrying strap and titling pole. Imprint area – 10”W X 8”H. This umbrella acts as a refreshing billboard for marketers and an appeasing sight for eyes for everyone who strolls through beach.